After a very lazy morning this morning we met up with friends at another local lavender field this afternoon. Mayfield Lavender is a family run lavender farm about 10 minutes from our house. 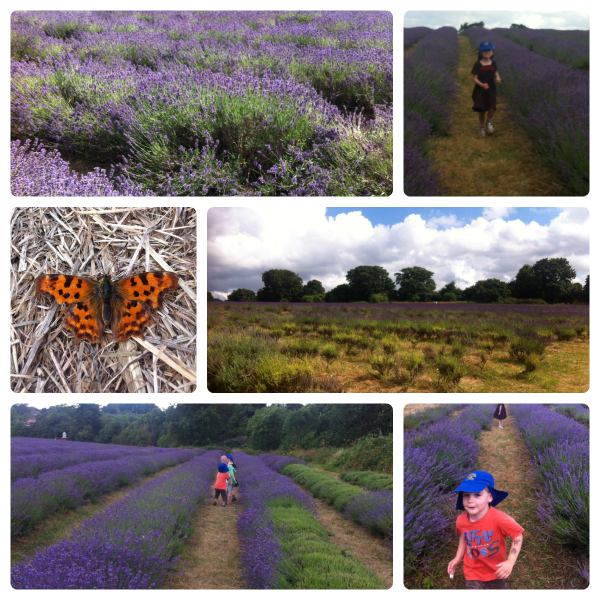 It is free to visit and you can walk through the lavender, soaking up the amazing smell and view. There is a shop and cafe, where you can relax with an ice cream or purchase lavender products, gifts and plants. Today we walked round the fields, well actually the adults walked round the fields while the kids ran, wrestled and chased each other round! They hid amongst the plants, spotted bees by the hundreds, saw many different butterflies, played Fruit Salad and Duck, Duck, Goose and had a wonderful time. It is a lovely place to visit and we will definitely be going back soon. ….and opposite Oaks park too! We’re hoping to pay a visit in the next few days too.